“Obviously, I felt numb, I couldn’t feel anything...I lost my boys, I needed help and I just… I had love there but I felt numb, I just… it felt like I couldn’t love again, and that was it, really… I needed some kind of support to make me feel like I could again… it’s taken me six years to do that, it could have been quicker if I had the counselling…” Mia, a mother, who stayed at one of our assessment centres and had her children taken into care. The problem of recurrent care proceedings - when a mother has more than one child take into care at different times - has been getting more national attention. There are now various initiatives to tackle it. We are monitoring and learning from these projects. Professor Karen Broadhurst and colleagues have carried out extensive research around how quickly mothers who have had a child removed from their care are again involved in court proceedings with a subsequent child. Our own work also demonstrates that many families we work with each year have had previous children removed before they come to us with their current child. In 2016 - 7 we worked with 58 families residentially. 21 families had had 49 children removed from their care prior to coming to St Michael’s. Seven of those families returned to the community with their current child after their assessment at St Michael's. We have completed a small research project with Middlesex University on the experiences of mothers who go through this. We want to understand their experiences and the type of support they would have most valued. Our Securing Change project will be informed by them. Some local authorities have put in measures to help with the needs of these women but many have not. During the three-year pilot, we will develop a service that meets these women’s needs. This will be through a mixture of one to one support with the opportunity for group support. The work will be person centred and the women will tell us what they need help wth. “I think what [they are] planning on doing with [setting up a new support service] is, it could save so many people's lives… I'm not just talking about their mentality, I'm talking about their whole lifestyle, their whole mind-set, it could change them in such a way you wouldn't understand.” Patrica, a mother, who stayed at St Michael's and had her children taken into Care. Securing Change is a development of our family assessment and outreach services. In both parents receive intensive, holistic and tailored support over an extended period. In outreach we work with local partners focused on housing, education, employment, criminal justice and wellbeing. Securing Change will be evaluated by the Centre for Abuse & Trauma Studies (CATS) at Middlesex University. 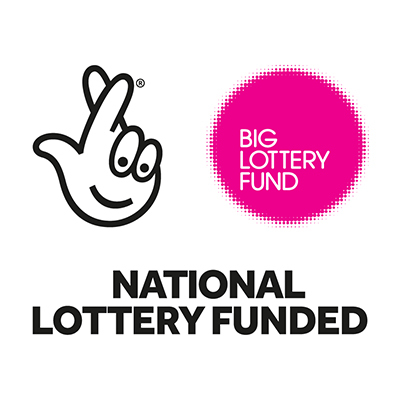 We are most grateful to have secured funding from The Big Lottery, The Philip King Charitable Trust, The Pilgrim Trust, The Tudor Trust, KPMG Foundation, The Elizabeth and Prince Zaiger Trust, other trusts and individual donors to pilot this work.